A wooden sheathed ice reefer. The reporting marks indicate it is part of the Union Refrigerator Transit fleet. 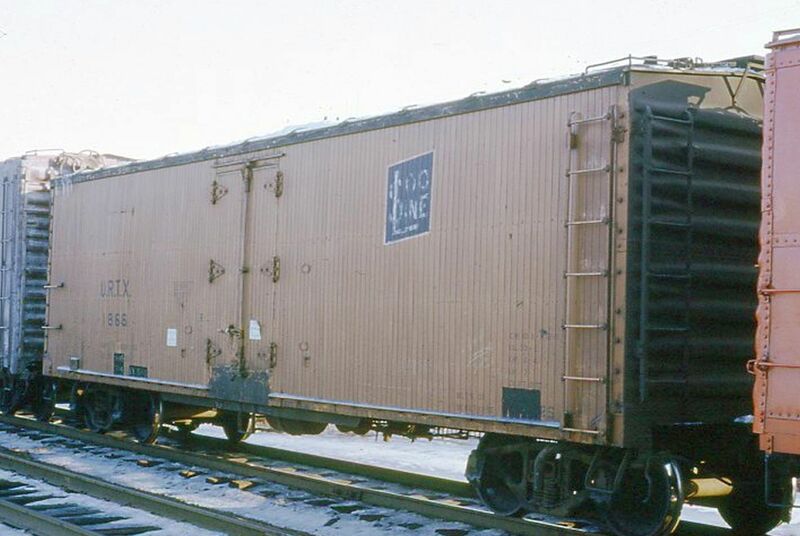 These old wood reefers were gone by the early 70s. Soo Line must have been the originating road. Spotted in B&M train. Photographed by Ron DeFilippo, May, 1967.